The Britannic was the last of the great Olympic class liners to be built by the White Star Line in the famed shipyards of Harland & Wolff. Like her two sisters before her, RMS Olympic and RMS Titanic, the Britannic was intended to enter service as a transatlantic passenger liner. Safer and more luxurious than her predecessors the Britannic was launched before the outbreak of the First World War and in November 1915 the ship was requisitioned and pressed into service as a hospital ship. 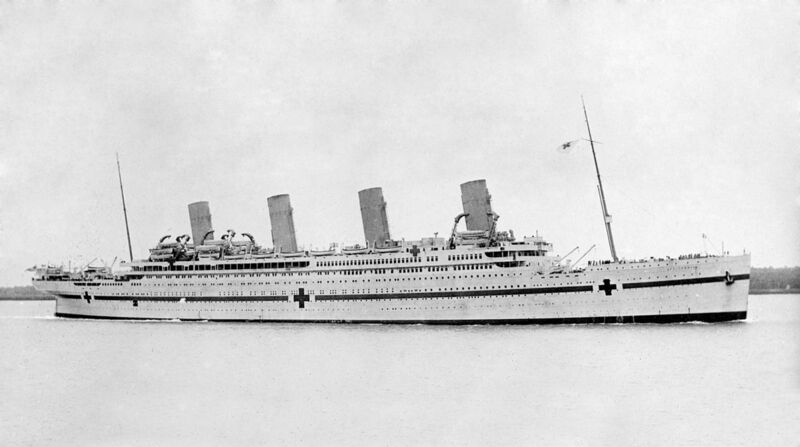 The ship was renamed HMHS (His Majesty’s Hospital Ship) Britannic and repainted to the recognisable colours of a hospital ship, white with a horizontal green stripe and three large red crosses. 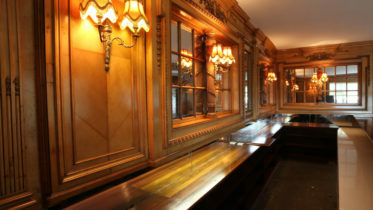 Inside was refitted as a hospital ship, with the luxury first-class dining rooms converted into operating theatres, 3,309 beds, rooms for the wounded, doctors quarters and with medical equipment. Her maiden voyage departed on the 23rd December 1915 from Liverpool to the Greek island of Lemnos to bring home sick and wounded soldiers. But her career was short-lived and ended in tragedy like her ill-fated sister before her. On the morning of 21st November 1916 an explosion shook the Britannic when she struck a naval mine near the Greek island of Kea. The ship sank within 55 minutes, making it the largest ship lost in the First World War. 30 souls lost their lives in the sinking. The wreck was discovered in at a depth of 122m in 1975 by famed underwater explorer Jacques Cousteau. He explored the wreck with his dive team in 1976.